Mothusi Magano is a South African actor best known for his starring role as Charles "Mingus" Khathi in the SABC3 drama series The Lab, from 2006-2009. He was born in the small village of Phokeng on the outskirts of Rustenburg. At the age of five, his family moved to Mafikeng where, at the Mmabana Cultural centre, he got his first taste of performance when he performed in a pantomime called A Dragon For Dinner. 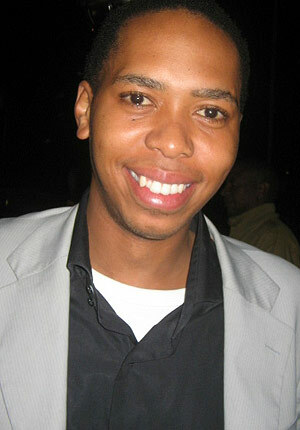 In 1998, Mothusi enrolled at the Wits School of Dramatic Art. In his first year of study he auditioned for all plays at Wits and got into two: Death and the Maiden where he played Gerardo Escobar and Little Shop of horrors, in which he played Audrey Two. In 2003, a friend asked him to be Harry Lime in his production of The Third Man and Mothusi asked agent Moonyeenn Lee to watch the production. Two days later she signed him to her agency and through her he filmed his first film: Gums and Noses, followed by Hotel Rwanda and Tsotsi (Oscar Winner for Best Foreign Film), as well as FNB commercials. He has acted in numerous theatre productions including The Third Man, Stones in His Pockets, Venus, Four, Lysistrata, A Midsummer Night's Dream, Romeo and Juliet, Bread and Butter, Maid in the New South Africa, American Buffalo, The Coloured Museum, Sexual Perversity in Chicago and Hamlet. 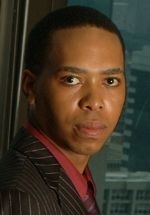 In 2004 he had a supporting role in the second season of the SABC2 police procedural series Zero Tolerance. Other television series he guest starred in include Home Affairs, Sorted, Muvhango and Izoso Connexion. In 2006 he landed his first major television role in The Lab, in which he starred for three seasons. He ahd a recurring role in the fifth season of the ITV drama series Wild at Heart, in 2010. In 2011 he had a guest starring role in the SABC1 drama series Intersexions and in 2012 he guest starred in the SABC2 drama series 90 Plein Street. He landed his second starring role in 2013 in the SABC1 drama series Tempy Pushas, set against the backdrop of the lavish fashion world and juxtaposed with the vibrant township culture. In November of the same year he joined e.tv soapie Scandal! in the role of mysterious assassin The Dustbin Man.